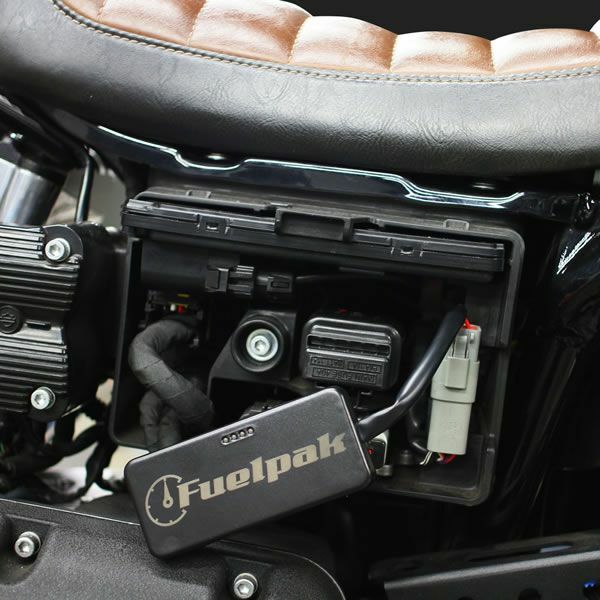 The Fuelpak FP3 will revolutionize fuel management for all new Harley-Davidson models now using the HDLAN system. 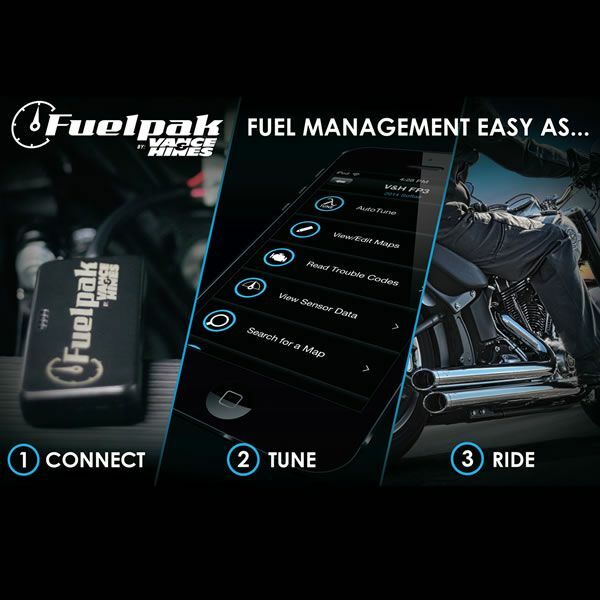 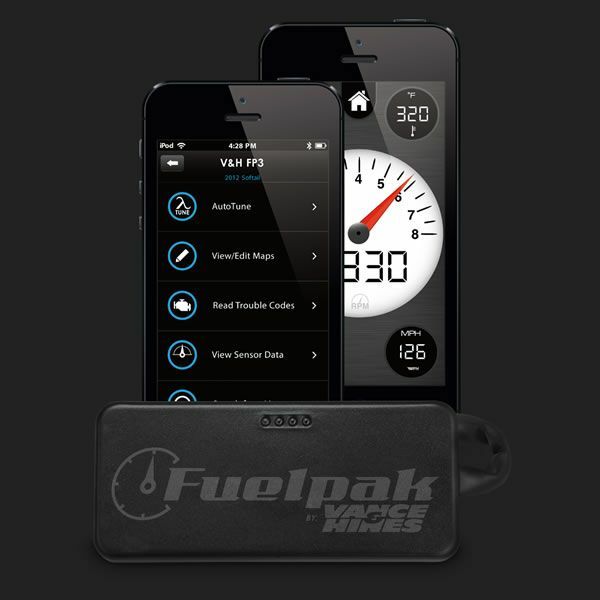 Connecting wirelessly by Bluetooth to any iPhone or Android Smartphone, Fuelpak FP3 uses Flash technology to recalibrate engine parameters and mapping for exhaust systems and other performance upgrades downloaded from the expansive library of calibrations developed by Vance & Hines. 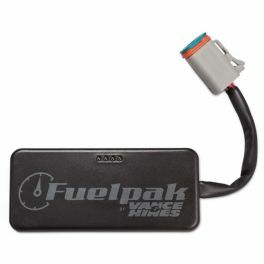 Also standard for the Fuelpak FP3 is an Autotune feature, making use of all factory sensors to add another layer of precision tuning for specific requirements, whether tuning for unique components or different grades of fuel. 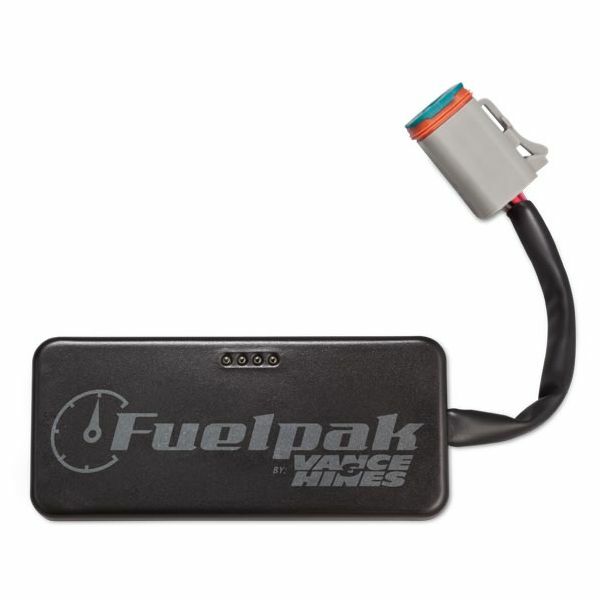 * Maps for 2014 CVO Models available now.